I'm a sucker for glitter, and a sucker for polish. So Relvon's Girly caught my eye when birthday shopping. I was too excited to see it and had to get it. It's hundreds and thousands of princess-like glitter how could I refuse? I love Revlon polishes for high street value, even though they're a little pricier than some, and I had to add this to my forever growing collection. Girly has gorgeous medium hex purple, dark pink and pale pink glitter accompanied by small clear iridescent glitter and small dark pink, purple and light pink glitter. These gorgeous glitter pieces float around in a thin pale, yet bright, varnish. 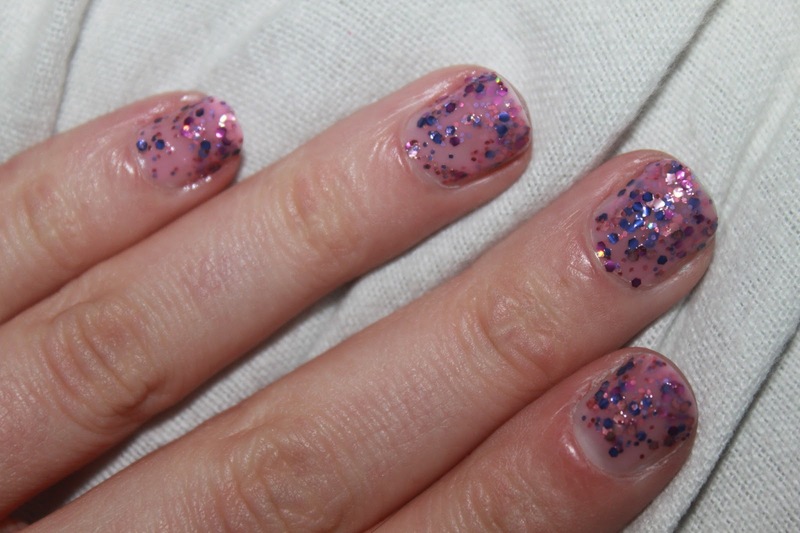 Over a pink varnish, this adds great sparkle to the nails. When applied a few layers, I applied 2, it still looks slightly sheer but it still works. This lasts a few days on the nails before chipping and is a bit of a pain to remove. What glitter isn't, right? That aside I love how pink and pretty it is - Sequin style nails are all the rage at the moment and Revlon has brought this shade out at the right time. Grab yours for £6.49 from Boots or Superdrug. I believe that Superdrug have £2 off Revlon nail enamel at the moment too! 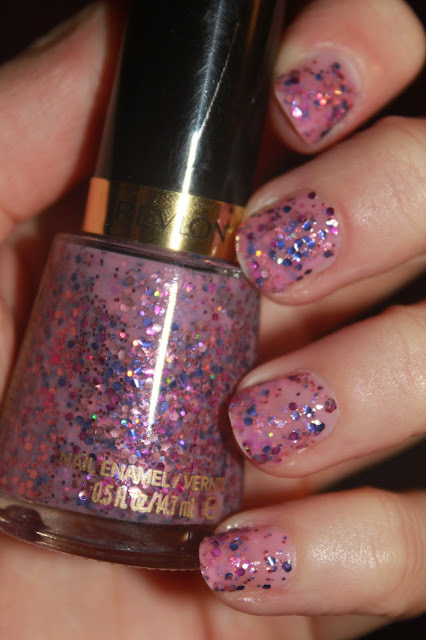 What is your favourite Revlon polish? I've had my eye on this, it's such a beaut! It's a shame it's not a bit more opaque, but it will definitely look good layered up over some pinks and purples. I think it would look pretty awesome over white, too. Gorgeous colour! 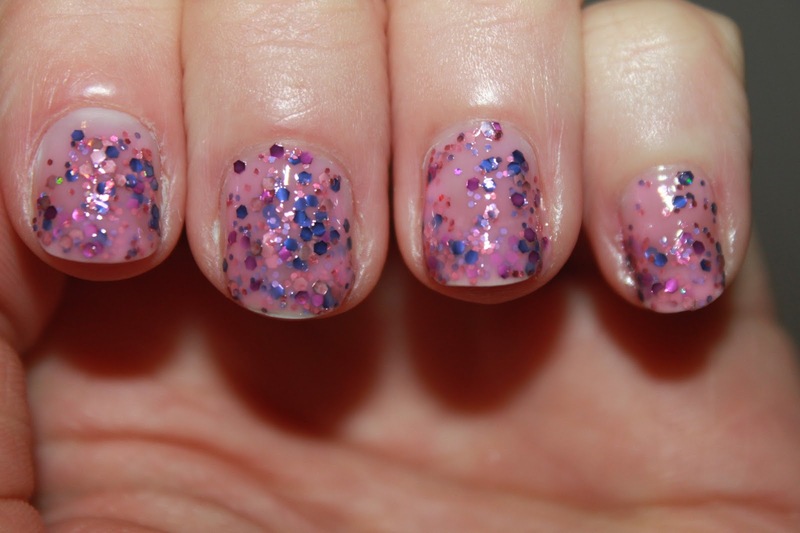 I always avoid glitter polishes 'cos well I'm lazy and they're a pain to remove but this looks so pretty!